Lynn Crest Senior Apartments, located at 4629 194th St SW in Lynnwood, has one bedroom apartments. Lynn Crest Senior Apartments participates in the Section 202 Supportive Housing for the Elderly program. Lynn Crest is located in Lynnwood behind the Fred Meyer on 196th St SW serving adults 62 years of age or older. There are 39 one-bedroom apartments in a 3-story building with an elevator for easy access. Onsite laundry facilities and parking are available to residents. Lynn Crest is on the bus lines and is located close to the Lynnwood Library and Recreation Center. Lynn Crest is subsidized with project-based assistance and residents pay approximately 30% of their annual household income towards rent. The community room has a full kitchen and can be reserved for private or group activities. Lynn Crest Senior Apartments receives rental subsidies through HUD-Assisted Housing for some or all of its apartments. Some units may be designated as market rate housing. 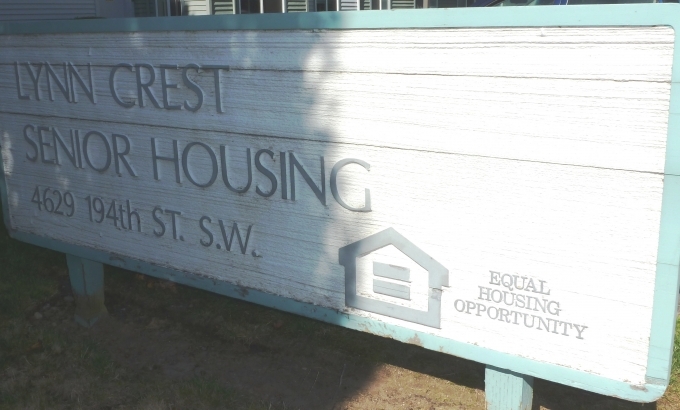 Lynn Crest Senior Apartments is managed by Everett Housing Authority.